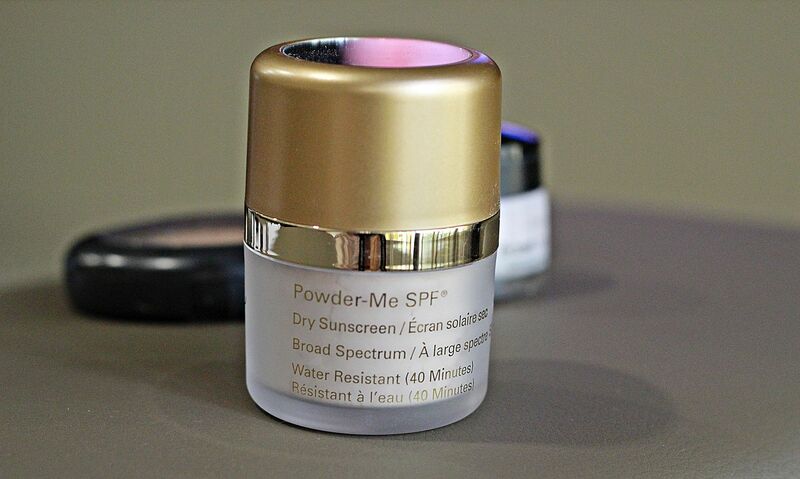 My skincare routine has not changed in years (I use DRx products) but in place of their tinted sunscreen, I have switched to Jane Iredale's Powder Me SPF. Don't get me wrong, I really liked DRx's sunscreen, but the thick texture made my face look greasy all the time when I'm in Singapore. However, it is great for drier climates as it is very moisturizing, hence I would still use it when I travel. 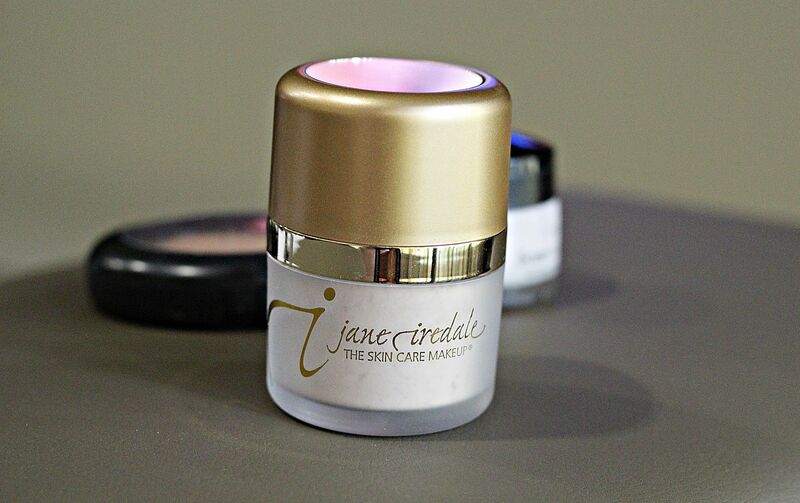 Jane Iredale's Powder Me SPF, as the name suggests, is a powder sunscreen with both UVA and UVB protection. It's actually skincare, as it is made of Titanium Dioxide (as with all sunscreens) and a unique clay that contains minerals to nourish the skin. Karen first recommended this product to me and I fell in love with it the moment I tried it on. I use this like any other powder, after primer and concealer, before applying blusher. There is no greasy after-feel and the best part is, it is water resistant, made of natural ingredients and doesn't clog pores at all! This product is highly recommended by the Skin Cancer Foundation as well. My mother-in-law bought this for me from her regular facial salon. You can also check out their official facebook page for more information on where to get their products in Singapore. 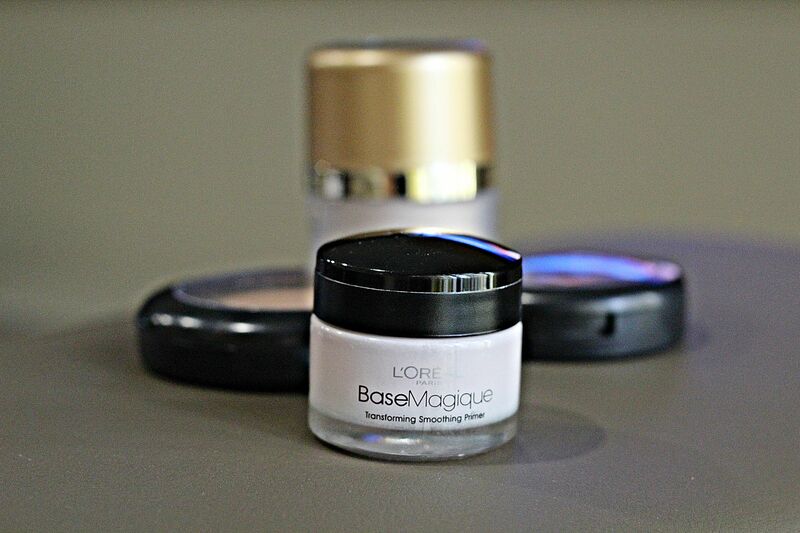 Loreal BaseMagique is great for minimizing imperfections such as pores and fine lines. You can use this all over your face alone or under make-up, but I only use this on my undereye circles before concealer. Not only does it help the concealer to go on smoothly, it also ensures that eye make-up lasts longer without caking. I have tried this on my forehead as well, where I've got some fine lines, and lo and behold, the lines vanished miraculously upon application! 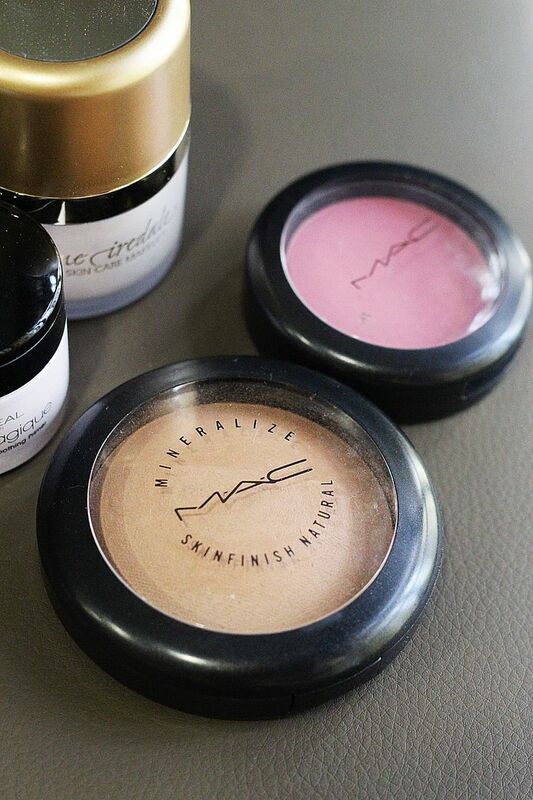 I use MAC's Mineralize Skinfinish in Medium Dark for contouring my cheekbones, jawline and forehead. I also use MAC's sheertone blusher in Pinch O' Peach. This is the last step of my face make-up. :) I generally like MAC products as they are very pigmented. I turn to my Ettusais medicated concealer on days when I have small zits as it has healing properties and SPF 12. I also like that it's extremely versatile! 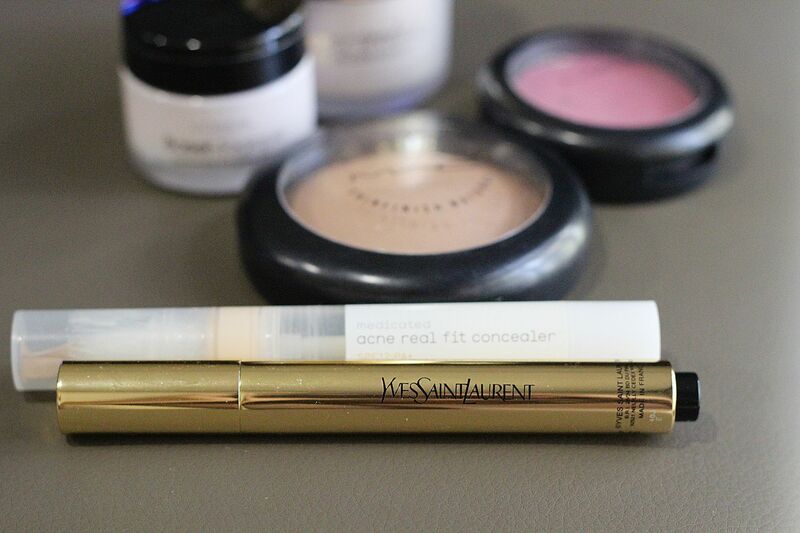 I use it together with YSL's Touche Eclat in shade no. 1 to conceal my dark eye circles as well, and this formula seems to work pretty well for now. So there you have it, a list of all my face make-up products!